It is so windy today! Well hello! I’m Emma from mmmEnglish! Well hello! I’m Emma from mmmEnglish! I want to challenge your thinking about fluency. What does it mean to be fluent in English? And are you actually more fluent than you think? Before we get started I just want to thank the sponsor of today’s lesson, Skillshare. Now I mentioned Skillshare a few weeks ago, in this lesson here. They’re an online learning platform with lots of free classes but through their Premium Membership, you can access thousands of amazing classes taught by expert teachers across so many different areas. It’s mind-blowing really, just how many different courses there are. I’ve taken three classes already. I took one in productivity because I need as much help as I can get in that area. But I’m completely hooked on baking. I’ve never baked my own bread before but I’ve taken two classes about bread-making on Skillshare and I’m getting pretty good at it now. I learned so much about the baking process and it’s actually easier than you think. Now, taking a course relating to your interest in English is an awesome way to build your fluency around topics that you love and Skillshare is the perfect place to do that. It’s super affordable, a premium membership will cost you as little as ten dollars a month on their annual plan. But Skillshare have given us a special deal today. 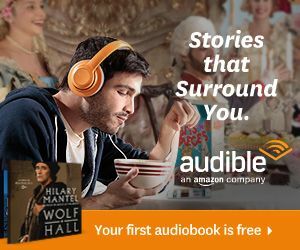 The first five hundred mmmEnglish viewers who sign up with a credit card using the link in the description will get two whole months of premium access to all their courses. It’s unlimited! You can take as many classes as you want! We’re so grateful to Skillshare for offering this deal and giving you yet another way to practise your English skills. So quickly! Get down there and grab that link before someone else does! All right. Back to the lesson. Today I’ve got three ways to increase your English fluency, but first and this is a very important question. Now it’s tricky because if I asked five of you, I’m sure I’d hear five completely different answers. What does it mean to be fluent in English? What do you think? I want you to write me a comment below. Tell me your opinion about this question. For some people, fluency is being able to have a normal conversation with a native speaker. Small talk, general topics like work, where you’re from, your family – that kind of thing. But for others, fluency relates to tests and exams. A certain level that you need to achieve before you can enter a university or apply for a visa. And that’s okay too! But it’s really important that you answer this question. When you say “I want to be fluent in English” what do you actually want to be able to do? Really think about your answer. I’m pushing you to do this. I want you to join in on this discussion, be part of the conversation today here my friend. Don’t just watch, I want you to participate. So for me, fluency is a mix of ability: reading, writing, listening, speaking skills and confidence. Confidence to stay in an English conversation. 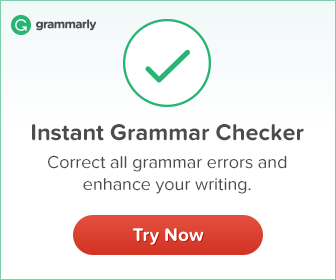 To me, fluency doesn’t mean that you’re an advanced English user. It could but it doesn’t necessarily mean that. In my opinion, someone who’s fluent in English can maintain a conversation and feel reasonably relaxed while they’re doing it. Their tone and their pace is comfortable. They don’t hesitate too often. They should be able to speak words and also express their feelings through their facial expression. And importantly, they should be able to talk themselves around their mistakes, correct themselves if they need to. The more confident that someone is speaking English, the more relaxed they are, right? They’re comfortable in the language even if it’s not a hundred per cent perfect. So with my definition of fluency, someone who is an intermediate level student, could be fluent in English because fluency is about having the skills that you need to communicate comfortably and effectively but not perfectly. So I wonder if our ideas of fluency are slightly different. You might completely disagree with me and that’s okay as long as you know what English fluency means to you. Okay, we’ve all agreed that your own definition of fluency is completely acceptable here. And now that you know that definition, it’s time for us to talk about some ways that you can increase your fluency. Firstly, I want you to worry less about accuracy. Now for some of you, this might not be such a new idea. Maybe you don’t worry too much about your mistakes and that’s perfect. But stay with me because I’ve got some other strategies coming up later in the lesson. But for most of you, this idea might seem a little crazy especially if you’ve studied English at school or at a university. Everything that we are taught there is about getting it right and if it’s not right, it’s wrong. You have to prove your ability by passing an exam. Well, life is nothing like an exam so I want you to forget all of that when you’re thinking about fluency. As your teacher, helping you to become more confident as an English speaker, you need to change the way that you think about accuracy when you’re speaking in English. Now I’m not talking about writing in English here, I’m talking about speaking. You know that there are many different ways to say the same thing, right? And if you make a mistake when you’re speaking, you just need to learn how to loop yourself around in that conversation and fix it. You don’t need to feel worried or ashamed, it happens to me, to native speakers all the time too. All you need to do is feel confident that you can fix the mistakes that you make. If you’re too focused on the mistakes that you’re making and you’re constantly questioning yourself in your head during your conversation, this is going to hold you back because if you’re too afraid or you’re too worried to even start speaking, how are you supposed to get any practice, right? So try to focus less on the mistakes that you’re making and focus more on communicating your message clearly. This is going to help you to relax and focus on the positives of your conversation. Yes, I am talking about your mindset here. I’m talking about changing the way that you think about yourself. Now that is easier to say than it is to do, I know but the reason why I want you to shift your mindset on accuracy is because you need to start exposing yourself to English in real situations, right? So that you can get comfortable being flexible with the language. It’s what native speakers do all the time, right? We make up words to express our ideas we end and we twist the tenses a little if we make a mistake but it doesn’t really affect the meaning of our sentence. Well, we might not bother to fix it, who cares when you’re speaking to, you know, friends and family in particular so don’t get too caught up on accuracy. Now the next thing I want you to think about is focus on the English that you need to use. Now there’s two different ways to think about this. The first way is to think really broadly about English as a language. The reality of English or any language is that there are thousands and thousands of words yet, only a percentage of those are used frequently in daily conversation and I’m talking about native English speakers here, not English learners. An average native English speaker actively uses around ten to twelve per cent of English words. That’s their active vocabulary, words that they use to express themselves when they write and they speak. Now this is the full vocabulary that they use out in the world but satisfies their need to communicate in every part of their life. Now this same average native speaker keeps about twenty-three to twenty-four per cent of English words in their passive vocabulary which means that, you know, their words that they read and they listen to and they understand but they don’t really use them themselves. There is a percentage of English words that you need to know and understand and I invite you to focus on more specific and useful parts of English rather than feeling completely overwhelmed by this really huge and complicated language. To put it simply, if you know ten per cent of English words, you’ll be as good as a native English speaker. So break that down for yourself, you know. Focus on the first one thousand words then move on to the next three thousand, five thousand. I’ve shared some really useful links about this in the description box below so if you’re interested in getting word lists and the most common uses of words, grab the links in the description. Now the second way to think about this is to think more specifically about how you use English. So become fluent in that particular area of English. Be an English expert in the space that you need to use it. So if you’re a freelance graphic designer or a web developer and you want to work with international clients, you need to become fluent in that area, in your area of expertise. What are the conversations that you’re going to have with those clients? What topics do you need to discuss? What words do you need to express your ideas? Now this is exactly the English that you need to focus on and this translates directly into your interests and your hobbies as well. If you’re passionate about photography or growing vegetables or flying drones, you want to be able to talk about those things in English too, right? You’ll want to meet other English speakers who are also interested in those things. So focus on the vocabulary and the expressions that you need to do this. You need to find your people, others who are as passionate as you are. You need to join online groups and communities or even meet up in person if you can. Grab the Skillshare trial that I mentioned at the start of this lesson. Just take all of the courses in photography, learn as much as you can about the things that you love. You’ll be able to listen to native speakers talking about the topic. You’ll learn new words and expressions and ways of talking about your interests, right? You need to expose yourself to that particular type of English. Now the fastest way to increase your fluency is undoubtedly, to live in an English-speaking country where you’re surrounded by it, where you can immerse yourself but if you haven’t got that opportunity to do that, well the next best thing is to surround yourself with English through courses, through programs, through communities. Now if you really want to improve your fluency in a particular area, then find a tutor to work with you and specifically ask them to practise roleplays. Now a roleplay is when you pretend that you’re in a particular situation. It’s like you’re acting, you pretend that you’re doing something, you’re speaking the English that you would need to use in that situation. Now my fiance Shah, did this brilliantly when we were studying in Spain. All he really wanted to be able to do in Spanish was speak to the butchers at the markets about the jamón, the regions, the pigs, what they were fed, what problems the farmers faced – that kind of thing. He needed to know how to talk about very specific topics so he asked his tutor to roleplay with him. She had to pretend that she was the butcher and have conversations with him about pigs and they practised again and again and again. His tutor was wonderful but I’m sure she thought he was crazy. But after six weeks of practising, Shah went from being basically a beginner to being fluent in butcher Spanish which is completely hilarious but seriously, thinking about how this strategy could supercharge your English in a particular area, could be a really useful tool for you. I mean you can apply this to any area. If you work at a hotel, and you need to be able to speak to customers who are staying at the hotel in English, you really need to be fluent in a few very specific things. You need to be fluent in giving good directions. You need to be fluent in offering assistance, you need to be fluent in helping them to pay their bill, that kind of thing. You don’t need to know a whole lot of vocabulary about economics and finance and farming. It’s absolutely possible to be fluent in the English that you need. And reasonably quickly too. If you can focus on the English that you need to be fluent in and that is what you should be working towards, right? So I guess what I’m trying to say is that shifting the way that you think about fluency can make it seem more achievable, right? Now I want you to tell me in the comments what do you want to be English fluent in? What specific areas? I might be able to make some extra vocabulary lessons to help, particularly if lots of people are asking around those topics. I really hope that this lesson was helpful for you. I hope that you kept your mind open and we stayed curious through the lesson, allowing yourself to think of some of these different ideas, even if they sound a little different and I really encourage you to keep these different ideas in mind if you want to increase your fluency in English or in any language, then you need to think specifically about what you need and take action. Start doing it. I mean you could start with some of my lessons, right? 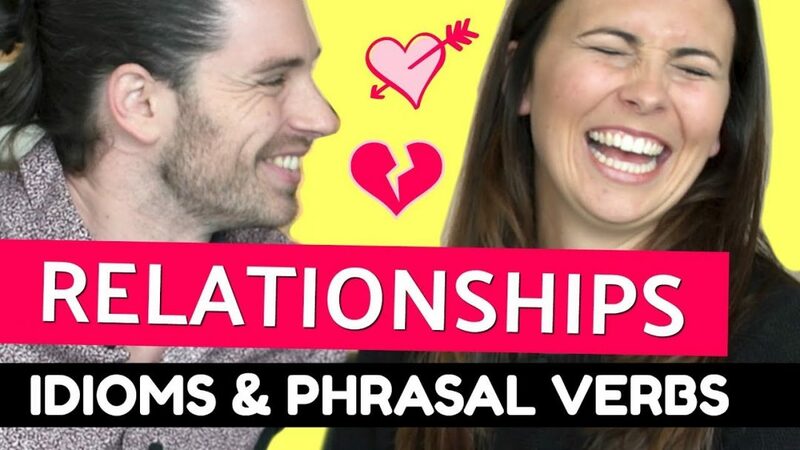 If you want to be fluent talking about relationships in English, watch this lesson. If you want to be able to talk about money, go there. What you do next is up to you, right? But I hope to see you in one of those lessons! I am very interested about marketing and sales vocabulary. Hi Emma, thank you so much, by watching your lessons I feel my English improving everyday. I’m from Morocco, 45 and mother of one boy, I’ve lost my job 3 years ago and now looking forward to working in call center for English customers service. Is there any lessons that can help me with this job? Especially how can I be able to inderstand a native speaker when he calls me? So glad to hear that your English is improving with my help Nadia! I’m afraid I don’t currently have a lesson that may help with customer service but I’m so sorry you lost your job and wish you all the best with your career! Thank you for all the video you have posted on Youtube. I love all of them because they are so very helpful and easy to understand. By the way, it’s not easy for me to say something about fluency. I’m Japanese and my wife is from Melbourne. Nothing is problem for me when I talk to her, but when it comes to having conversation with other English speaker, it’s far more difficult because I cannot say things in my head quickly sometimes and I have to push myself to do so. Do you have any suggestion that I can try to enhance my fluency in any situations? I would be grateful if you share it with me. Hi Tomo! Going to meetups and communities with other English learners would be a great way to help you as English learners understand what you are going through and are more willing to practise together! 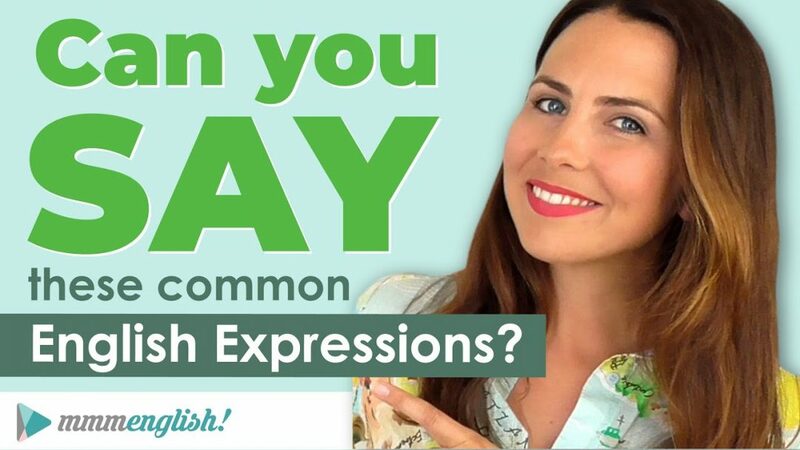 Have you seen my video where I share some tips for English learners in English-speaking countries? You might find it particularly useful! You are so clear in your explanations. I like them very much. 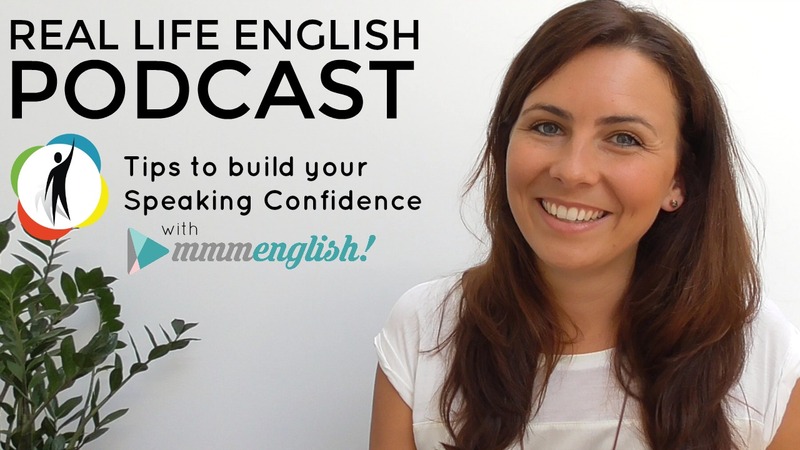 What is most important for everyone to speak fluently and confidently? I agree with you.You are right. Your’s is a brillant lesson as usual and your fiancé Shah is a lucky one having you!As for being fluent: I agreee that in our modern smartphone-world it’s far enough to know about 150-200 words. Even politicians dont use more for speeches (see Donald Trump and also others). Also average Italians dont use more than 150 words in common life. The problem is that words are related with thinking: if our vocabulary is poor, also our thoughts risk to become poor. However I agree that common speaking is not literature or philosophy at all. Thank you Emma! I wrote a comment only a few days before on the same lesson. I can only repeat it. Thank you Emma for your brillant lessons! For me fluency means to understand quickly speech, for example when I watch news by TV. I have no knowledge of English but I would like to be fluent. I watch your videos every day and learn a lot, from you, it is very pleasant. Thank you Marie! I hope these lessons help you improve your fluency! Very good tips, thanks for your help. Glad you like the tips Cilvinei! If you have any others, please share! Emma, I like how you have explained how an individual can speak English fluently. I also like the way you have clarified it in three categories. My desire is to learn a lot from this lesson. Emma, I like the way you have explained how an individual can speak English fluently. My desire is to be a better speaker at the Language. Thanks for clarifying the Language to the best of your ability. I enjoy your English on Youtube. I think fluency, for me, is to talk comfortably with someone who talks in English. Non-stop and i can understand anyone easily. To me, fluency is the ability to react communicatively to any situation and be understood. Hi Emma I hope you’re fine.I really appreciate your way of teaching English and of course i learn a lot since I started following you.In my opinion,fluency means have courage, self-confidence and be concentrated on the topic you talk about to make it understanding by all means. Hi Emma, I love to hear you, speak kindly, comfy and relax. I am studying in my country but I can´t reach level that I want. What think do must I do yks. take care. Hi I love your teaching please I’m a pastor and need to my past tense and present tense to be able to communicate well to my church members. Please help me. Hello Emma, you asked about the field in which one is interested to be fluent and this is a good point. But if one is a translator I think he/she needs to be fluent in so many fields. In this case, I think he/she needs to master general English first, then try to increase his/her knowledge in other fields he/she is dealing with. Every learner wants to learn English as quickly as possible. They depend on the learner how much time he spends on learning English. Follow these steps to learn English easily. Thanks, for sharing this post with my QandA team members. Yes, well said! A common question I get asked is ‘how long will it take for me to be fluent in English?’ but there’s no correct answer because it all depends on the student! I lose confidence when I don’t understand someone’s accent. I am all happy and talking fast and knowing all the words I need and then… the accent is what I don’t understand. Very few people speak like the English queen, right? Actually, British English is probably the second most common English accent after American! American English is just more common simply because there are more Americans around the world. Thank you so much Emma..you’re doing a great job.please I need your assistant in pronunciations of words..using my tenses and verb correctly.. I m a very poor English speaker ..please help me..I’m very eager and determined to learn..how to speak English fluently.. I’m a Nigerian.I studied biology education…please help me..